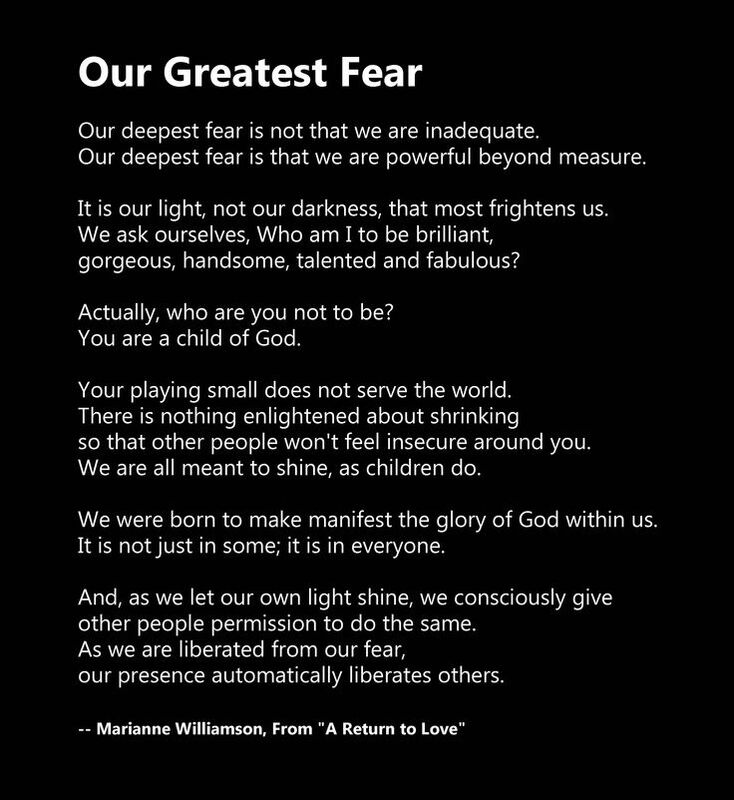 These 2 poems were inspired by Marianne Williamson's "Our Deepest Fear" (in A Return To Love: Reflections on the Principles of A Course in Miracles), who's words were quoted by Nelson Mandela in 1994, during his Presidential Inauguration Speech. 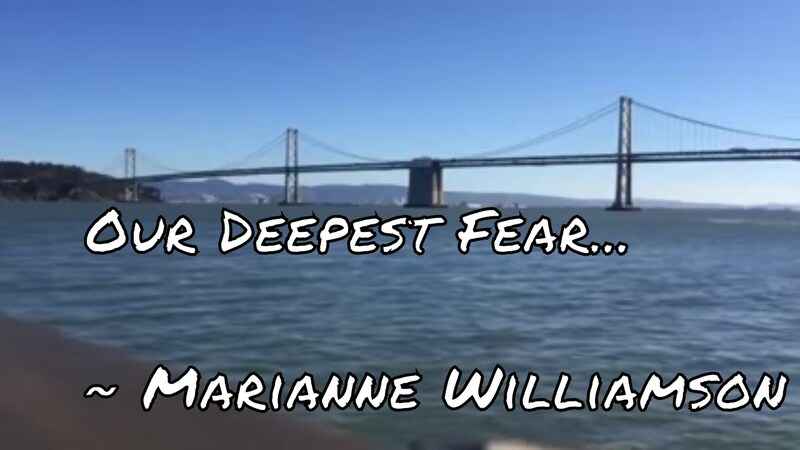 Marianne Williamson�s piece on �Our Deepest Fear� is motivational. It motivates you to speak out and be yourself. 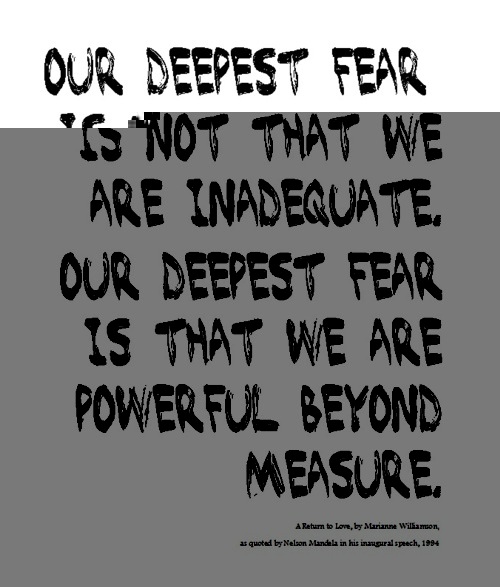 Don�t be afraid to show the real you. It motivates you to speak out and be yourself.